What does it cost your business per hour of computer downtime? What impact does it have on your customers, your suppliers and your business partners? How long can you wait until your network is restored? 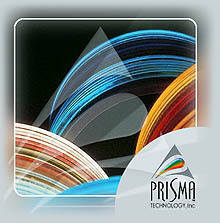 Prisma understands the costs and the risk of downtime for business. Our aim is to match technology service and support to your business needs - and help you control the costs of ownership. We provide comprehensive technology examinations and diagnostic evaluations of your network. We develop cost effective technology plans and establish the critical priorities for robust and relevant technology structures. We design and implement appropriate security procedures together with disaster recovery planning and support for minimum of 99.7% system uptime. We recommend and/or develop suitable software solutions and help you select the most appropriate hardware for your business. We realize the importance of implementing technology solutions that address business goals and have a direct impact on revenue and cost. Unfortunately, many businesses do not have the core competency or the time to review their exiting infrastructure. This is where we come in. At Prisma, we are committed to ensuring the proper integration of technology to the management of your business processes.